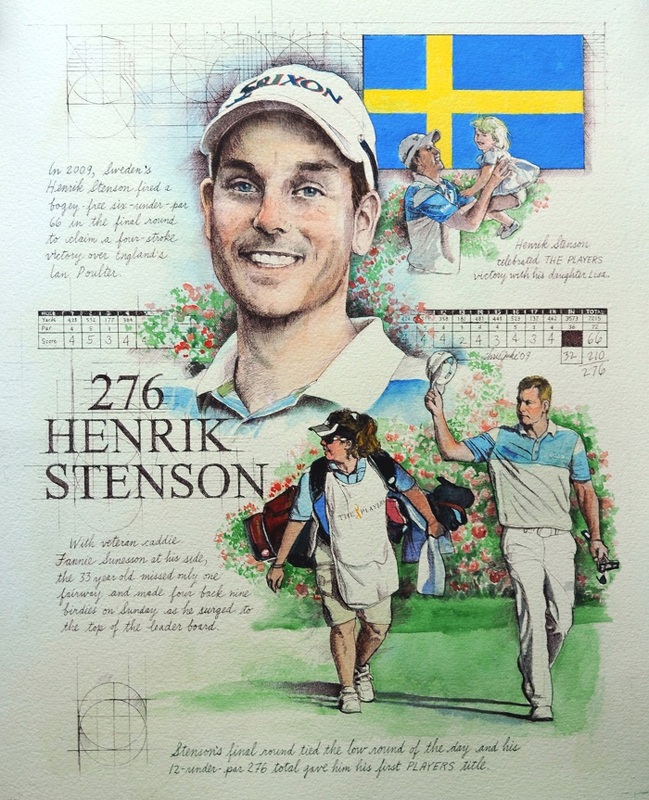 It was a treat to illustrate fellow Swede Henrik Stenson as the champion of THE PLAYERS golf tournament of 2009. I love the fact that Henrik’s caddie and advisor, Fannie Sunesson, was a woman. I enjoyed featuring the two of them in my portrait. When Stenson’s staff saw my art, they teased me that he would become impossibly vain, now knowing how handsome he is.